We have had the privilege of printing many wonderful designs with custom artwork over the years, many for well-known authors. We always protect the privacy of our customers and don’t publicize bookplates without permission. Lately, though, we’ve printed several beautiful designs to use for booksignings whose owners have been happy to share. In fact, they are all available on the authors’ websites as a giveaway. We have posted all of these on our Facebook page, but wanted our blog readers who don’t use Facebook to have access. If you do use Facebook, please consider “liking” our page so that you get updates. We will also be offering specials through the Facebook page. 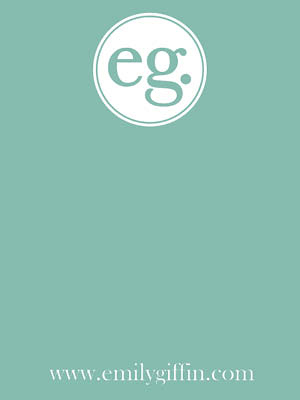 One of our well-known and loyal customers is Emily Giffin, author of Something Borrowed, Something Blue, Baby Proof, Love the One You’re With, Heart of the Matter, and her latest book, Where We Belong. 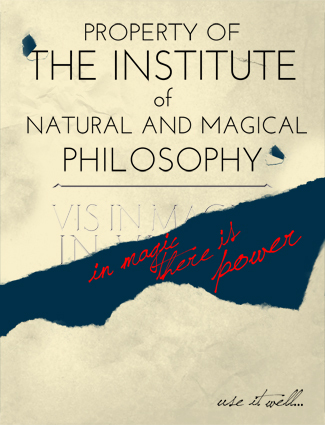 We have printed bookplates for Giffin that are for her books in general, and ones that are specific to each book. She will sign bookplates upon request through her website. J&P Voelkel write a really interesting adventure series called Jaguar Stones, based on historical facts about Mayan culture, appropriate for young readers. Books in this series include Book One: Middleworld, Book Two: The End of the World Club, and Book Three: The River of No Return. 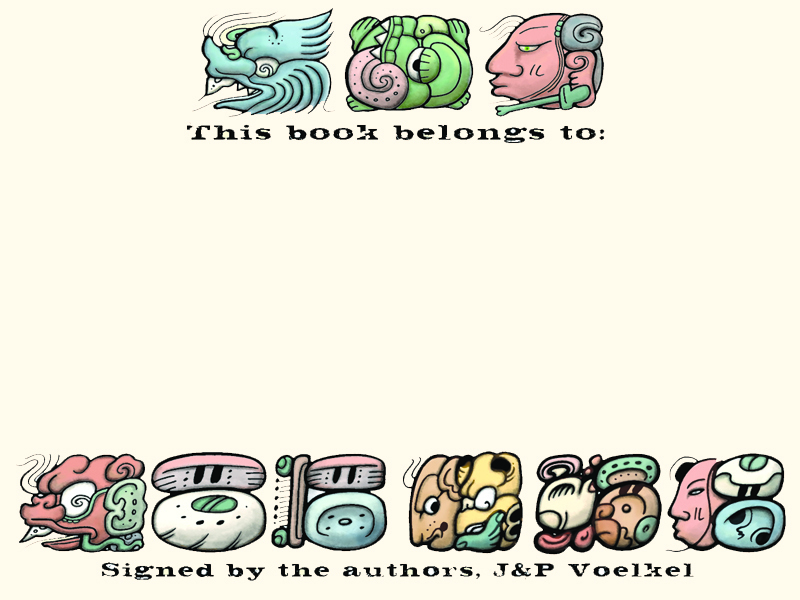 They recently ordered their second bookplate design from us, with the Mayan theme evident in their artwork. Jon Voelkel grew up in Peru, Costa Rica and Colombia. He was not a natural-born adventurer and found life in the jungle difficult, to say the least. Having survived monkey stew, an attack by giant rats, and a plane crash in the middle of the rainforest, he escaped to college in Minneapolis and went on to business school in Barcelona. After working in advertising agencies in Spain, Holland and England, he started his own agency in London with four other partners – one of whom would be his future wife. In 2001, the London Financial Times named him one of the top fifty creative minds in Britain. While Jon was battling the daily perils of the jungle, Pamela was growing up in a sedate seaside town in northwest England and dreaming of adventure. As soon as she graduated, she escaped to London to take any job with “writer” in the title. After stints reviewing books, writing catalogs and penning speech bubbles for photo-romances, she became an advertising copywriter and award-winning Creative Director. In 2001, J&P moved from London to rural Vermont, and began work on ‘Middleworld’. In an interesting male/female collaboration, Jon focuses on the action scenes (much of it based on his own childhood memories and the bedtime stories he tells their three children), while Pamela enjoys thinking about the characters and deciding how they feel about things. When they’re not writing and illustrating their books or visiting schools, the Voelkels are usually traveling in Central America, attending Maya conferences, and studying Maya glyphs. 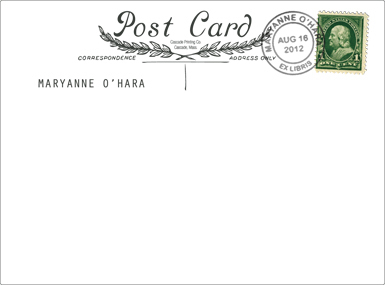 According to O’Hara, her brother, Michael Bavaro, designed her bookplate to look like a postcard since this is an important element in Cascade. These were printed on a slightly heavier white paper stock, which gives it a nice feel and texture. More information is available on her website. Author Meagan Spooner’s young adult fantasy novel, Skylark, the first in a trilogy, has also just been published. 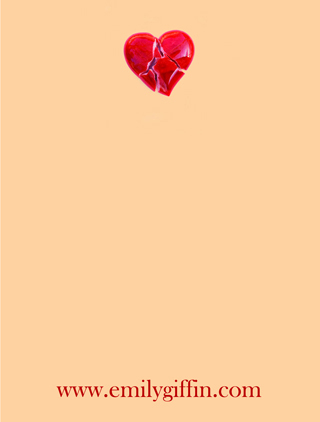 Skylark has already been selected to be featured as a Young Adult Buzz Book at BEA 2012. According to New York Times bestselling author Carrie Jones, “Skylark‘s rich narrative and plucky heroine will transport you into a mesmerizing and horrifying world.” Spooner also co-authored with Amie Kaufman the young adult science fiction romance These Broken Stars. Read more about her bookplates and work on her site.